If you are facing Possessing Instruments of Crime charges in Pennsylvania or New Jersey, we can help. 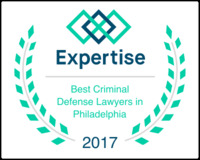 We are award-winning Philadelphia criminal defense lawyers who will fight to protect your rights at trial or on appeal and focus on getting you the best possible result in your case. We have successfully defended thousands of cases in Philadelphia and the surrounding counties. 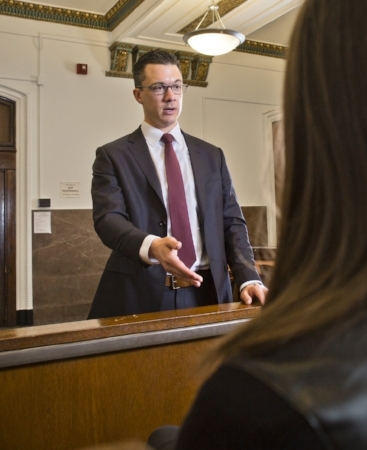 Our criminal lawyers are dedicated, understanding defense attorneys who will use a high level of skill and expertise to help you successfully navigate the criminal justice system and get results. Possessing Instruments of Crime is one of the more serious misdemeanor charges under Pennsylvania law. However, the good news is that there are often defenses to these charges. If you are facing criminal charges for Possession of an Instrument of Crime in Philadelphia or nearby, call 267-225-2545 for a free criminal defense strategy session. What is Possession of an Instrument of Crime? The Possessing Instruments of Crime statute encompasses three separate crimes. It is illegal to possess "any instrument of crime with intent to employ it criminally." This section of the statute is a misdemeanor of the first degree. It is also a misdemeanor of the first degree when a person "possesses a firearm or other weapon concealed upon his person with intent to employ it criminally." Finally, a "person commits a felony of the third degree if in the course of the commission of a felony or in the attempt to commit a felony he uses or wears body armor or has in his control, custody or possession any body armor." The second and third sections of the statute are fairly straight-forward. They make it a crime to possess a concealed firearm or weapon when the person possesses that firearm or weapon with the intent to use it in a crime. They also make it a felony to wear body armor or be in possession of body armor during the commission of a felony or attempt to commit a felony. What is an Instrument of Crime in Pennsylvania? It also defines a "weapon" as "[a]nything readily capable of lethal use and possessed under circumstances not manifestly appropriate for lawful uses which it may have. The term includes a firearm which is not loaded or lacks a clip or other component to render it immediately operable, and components which can readily be assembled into a weapon." Courts have addressed the issue of what qualifies as an instrument of crime on numerous occasions because of the vague language in the statute. In general, prosecutors have tended to take the approach that using any object while committing a crime could qualify as Possessing Instruments of Crime. However, more recently, Pennsylvania appellate courts have begun to push back against this approach and narrow the definition of an Instrument of Crime. For example, in Commonwealth v. Childs, the Pennsylvania Superior Court addressed the issue of whether a cell phone which was used to facilitate drug sales could qualify as an Instrument of Crime. The defendant in that case had been convicted of Possession with the Intent to Deliver and related charges, including Possessing Instruments of Crime, after officers testified that they had observed the defendant selling drugs to a confidential informant and that they had arranged those drug transactions by using a cell phone number. The number corresponded with a cell phone which was later found on or near the defendant. The defendant appealed to the Superior Court, arguing that the Commonwealth failed to prove that the defendant possessed an instrument of a crime beyond a reasonable doubt. On appeal, the Superior Court agreed with the defendant and reversed the Possession of an Instrument of Crime conviction. The court ruled that a telephone does not meet the definition of an instrument of a crime. The court found no evidence that the telephone had been specially made or specially adapted for criminal use. Although the defendant had used the telephone for criminal purposes, there was no evidence that it was actually possessed "under circumstances not manifestly appropriate for lawful uses it may have." In multiple cases, the Superior Court has held that “the mere use of an item to facilitate a crime does not transform the item into an instrument of crime for purposes of the PIC statute.” Instead, the item must be used for something more than to facilitate the crime; it must be used in the crime itself. Motions to Suppress the Object. If the police conducted an illegal search or seizure of the defendant which resulted in the recovery of the object, it could be possible to have the item itself excluded from evidence. Sufficiency of the Evidence. The prosecution must prove each case and each element of a statute beyond a reasonable doubt. In many cases, it may be possible to challenge the sufficiency of the evidence in pre-trial hearings like preliminary hearings or at trial. As the Childs case illustrates, the prosecution must prove that the object in question was actually an instrument of crime and involved in the crime itself. It is not enough to show only that the defendant possessed the object or that the object may have in some way facilitated a crime. Credibility. Credibility is almost always an issue in criminal trials. 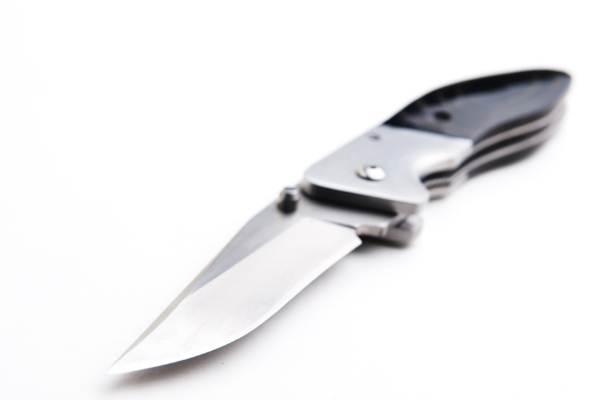 It is common for complainants in assault cases to allege that the defendant used a weapon or threatened the complainant with a weapon even if that did not happen. Using cross-examination, our defense attorneys may be able to show that the complainant has fabricated the allegations that a weapon was used in an assault, and that would be a defense to a PIC charge. The potential sentence for a conviction for Possessing Instruments of Crime can vary widely depending on the nature of the instrument involved. Possessing a gun with the intent to employ it criminally or body armor during the commission of a felony is likely to be punished much more severely than possessing a saw for stealing a a bicycle. Possessing a weapon is more likely to result in jail time, while possessing many other criminal instruments could result in probation. Therefore, it is important to retain a criminal defense attorney with experience both in fighting these charges and presenting compelling sentencing arguments in the event that a trial results in a conviction. Our Philadelphia criminal defense lawyers have handled countless cases involving PIC charges and other weapons offenses. If you are facing criminal charges of any kind in Pennsylvania or New Jersey, we can help. 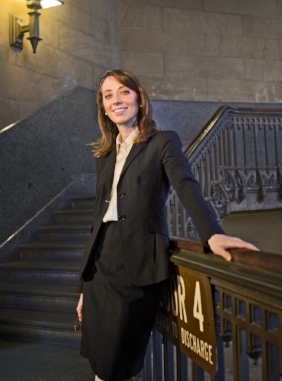 We know the law and the defenses to these charges, and we will use the law to your advantage. Call 267-225-2545 or fill out the form below to speak with a skilled defense attorney today. (a) Criminal instruments generally.--A person commits a misdemeanor of the first degree if he possesses any instrument of crime with intent to employ it criminally. (b) Possession of weapon.--A person commits a misdemeanor of the first degree if he possesses a firearm or other weapon concealed upon his person with intent to employ it criminally. (c) Unlawful body armor.--A person commits a felony of the third degree if in the course of the commission of a felony or in the attempt to commit a felony he uses or wears body armor or has in his control, custody or possession any body armor. "Body armor." Any protective covering for the body, or parts thereof, made of any polyaramid fiber or any resin-treated glass fiber cloth or any material or combination of materials made or designed to prevent, resist, deflect or deter the penetration thereof by ammunition, knife, cutting or piercing instrument or any other weapon. (1) Anything specially made or specially adapted for criminal use. (2) Anything used for criminal purposes and possessed by the actor under circumstances not manifestly appropriate for lawful uses it may have. "Weapon." Anything readily capable of lethal use and possessed under circumstances not manifestly appropriate for lawful uses which it may have. The term includes a firearm which is not loaded or lacks a clip or other component to render it immediately operable, and components which can readily be assembled into a weapon.